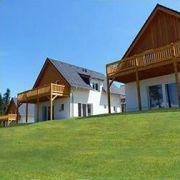 New large holiday houses right on the shore of Lipno Lake, comfortably furnished for your pleasant vacation. Several … More » houses have also sauna. Possibility of stay with dogs. Great place for fishing (private pier), ideal location for cyclists. Spend your vacation by us!